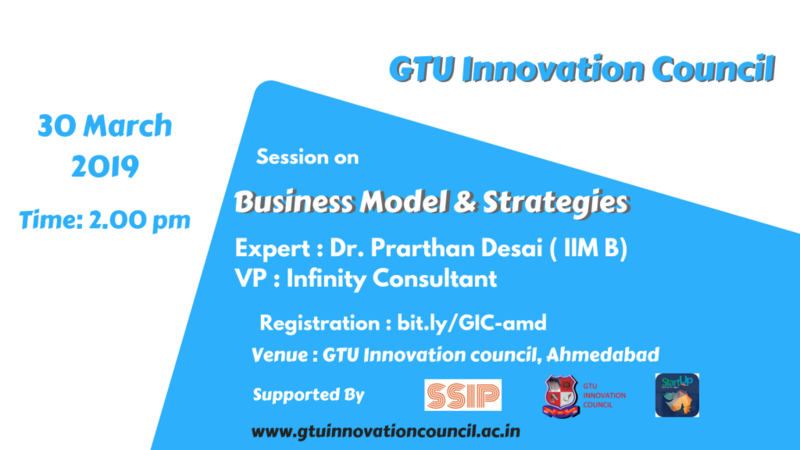 GTU Innovation Council is Organising Session on Business Model and Startup Strategies on 30 March 2019. 4. Product to Market strategies.